It’s a Ten from Len! 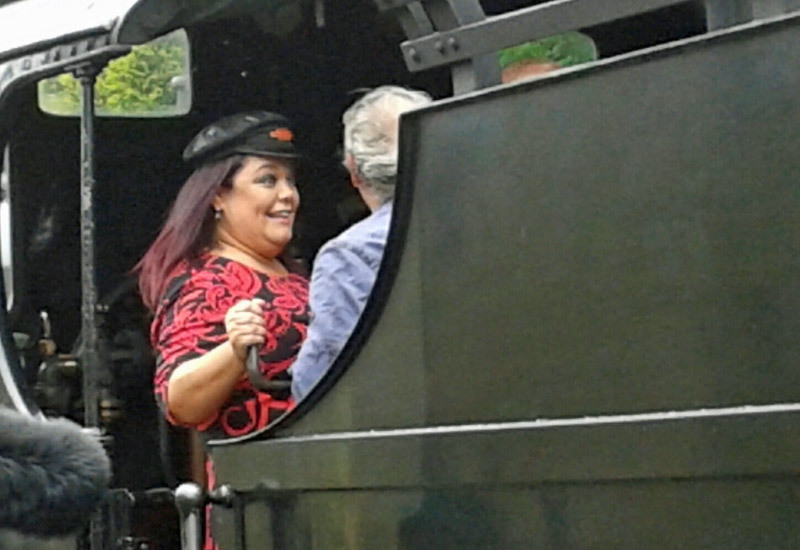 Thursday 13th August was strictly a red letter day on the KWVR when Strictly Come Dancing judge, Len Goodman, and contestant and Emmerdale star, Lisa Riley, dropped in to record an episode of the popular BBC1 programme ‘Holiday of my Lifetime’. 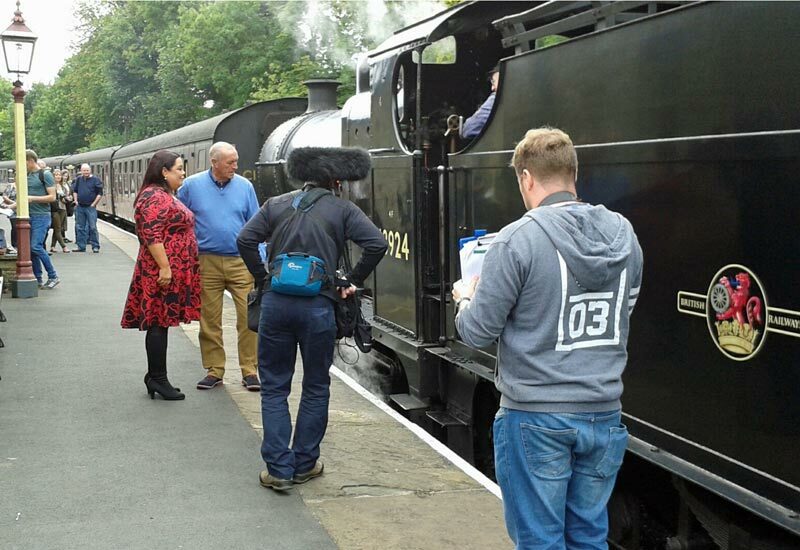 Midland Railway 4F 0-6-0 43924 was locomotive on the day and under the watchful eye of KWVR filming expert, Roger France, filming went well, the popular pair of TV celebrities caused a lot of excitement amongst our staff and passengers who were fortunate to be travelling on the Railway on the day. Look out for the broadcast of the programme which is expected to hit the airwaves in October.